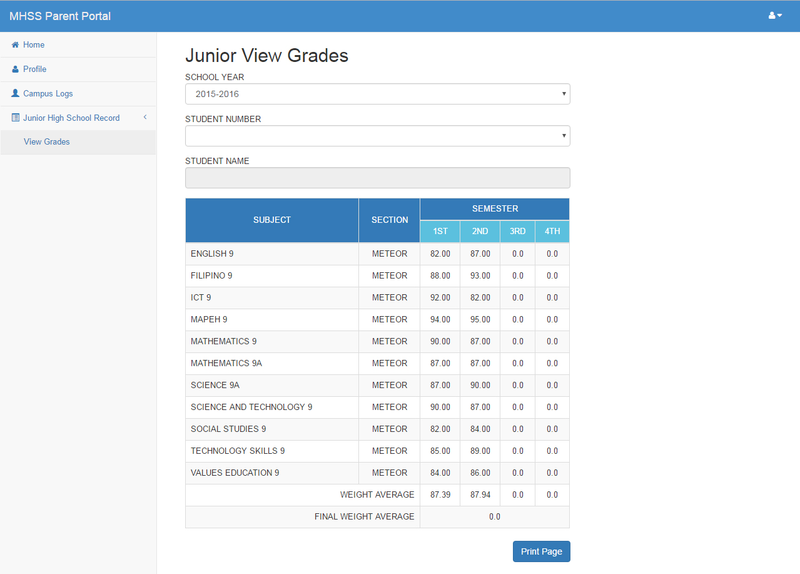 Following the lead of its mother school the Mapúa Institute of Technology, Malayan High School of Science launched its own version of Parent Portal, an online facility allowing parents and guardians to view their children’s grades and campus logs. The Parent Portal is a window for parents and guardians to access the academic records of their children in order to be fully involved with their child’s education. To register, parents must provide their full name, their child’s name and birth date, and their e-mail address. A confirmation message will then be sent to the provided e-mail to activate the parent’s registration in the parent portal. Once the e-mail is validated, the parent can already use the parent portal. Parents and guardians may opt to save or print the information about their child’s grades and campus logs in PDF format. 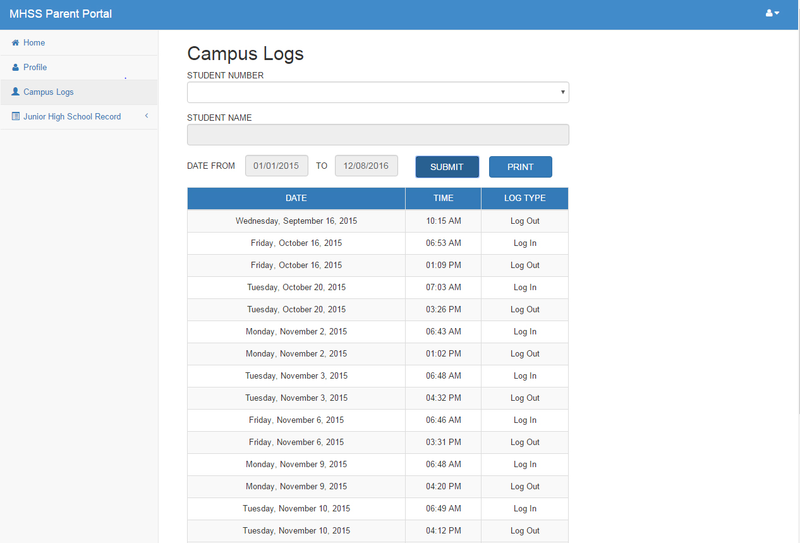 The Parent Portal lets the parents view the date and time when their children entered and exited the MHSS campus. Parents may also track their children’s academic performance through viewing their grades in specific subjects and in particular school year and quarter.